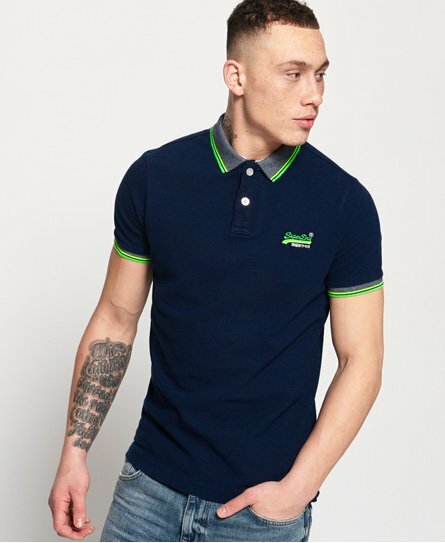 Superdry men's Sunrise Cali pique polo shirt. Perfect for the everyday, this polo shirt features a two button fastening, stripe detailing around the collar and cuffs and is completed with an embroidered logo on the chest. Style with a pair of chinos for a smart yet casual outfit.